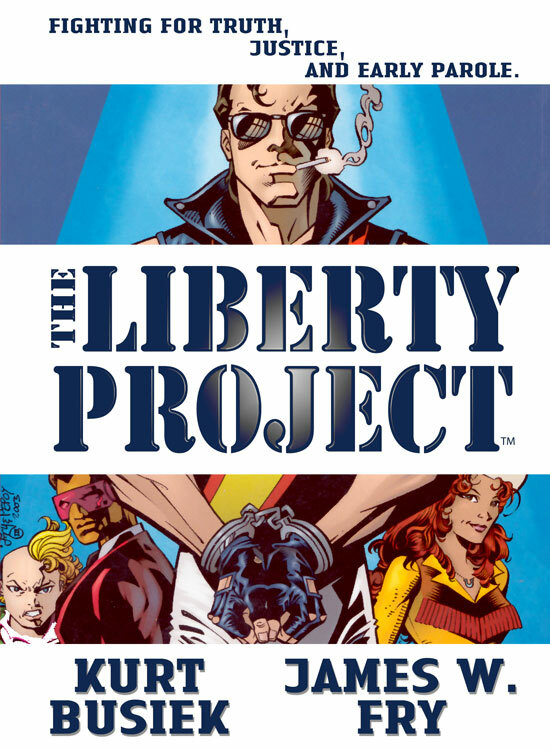 For those who may not have heard of THE LIBERTY PROJECT, it’s a series I did with artist/co-creator James W. Fry III, inker Doug Hazlewood and others, back in the late 1980s. It’s about a quartet of young, super-powered criminals given a chance to pay their debt to society by doing community service as superheroes—a process that goes rather less than smoothly, considering. 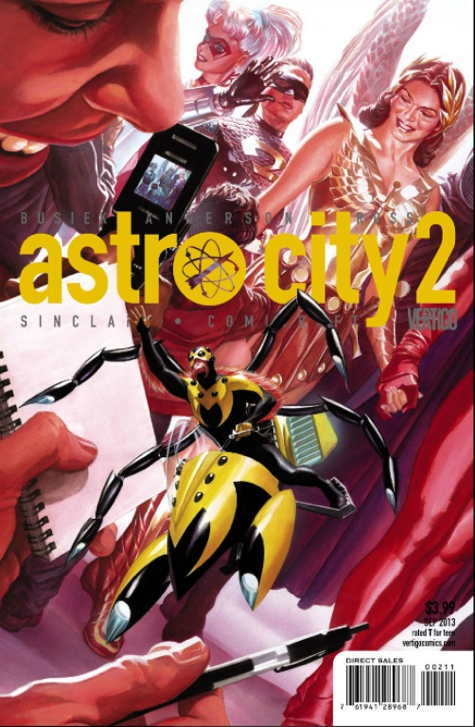 It’s the first series where I really got to explore my obsession with reforming villains, redemption and so on, and as such it plants the seeds or what became THUNDERBOLTS, various arcs of ASTRO CITY, and even stuff I haven’t had a chance to write yet. It didn’t sell well, to say the least. We did the book for Eclipse, back at a time when superhero comics either got published by Marvel or DC, or very few readers gave ’em a shot. And certainly, a book by creators barely anyone had heard of before wasn’t really going to push the needle on that front. We lasted eight issues plus a TOTAL ECLIPSE crossover special (plus, years later, when Neil Vokes and I did JACK KIRBY’S TEENAGENTS for Topps, they guest-starred for an issue and a bit), but we had a lot of fun, and readers keep asking if we’ll ever bring them back. Also, to my surprise, of all the projects I’ve created, it’s near the top in terms of getting the most interest from TV and movie folks, so who knows, maybe someday these guys will hit the screen (big or small), and James and I will be flabbergasted but delighted. Anyway, the color repro material for the series was lost, sold or destroyed long ago, when Eclipse went bankrupt, but a decade or so back Nat Gertler at About Comics put together a very nice black-and-white trade paperback of the series, collecting the entire Eclipse run, and it’s been nice to have the material out there and available for new readers to discover. We were very happy with the previous edition—like Nat said, it’s sold nicely over the years, before it got stuck in the distribution thing—so we haven’t changed it much. A sharper-looking logo, slightly-differently-sized pages to accommodate the needs and aesthetics of the POD setup, but other than that it’s the same book. Will they ever return? Well, it’s something James and I talk about every now and then, and we’re actually working on a thing right now in which they make a brief appearance. So it’s well within the realm of possibility. And in the meantime, it’s nice to have the material readily available again, via technologies that didn’t exist back when we created these guys. This is one of the (many) things I like about creator ownership. The LEGEND OF WONDER WOMAN mini-series I wrote back then, to pick an example, only exists—and is only ever likely to exist—in back-issue form, unless someday DC decides it’s worth digging up and republishing. 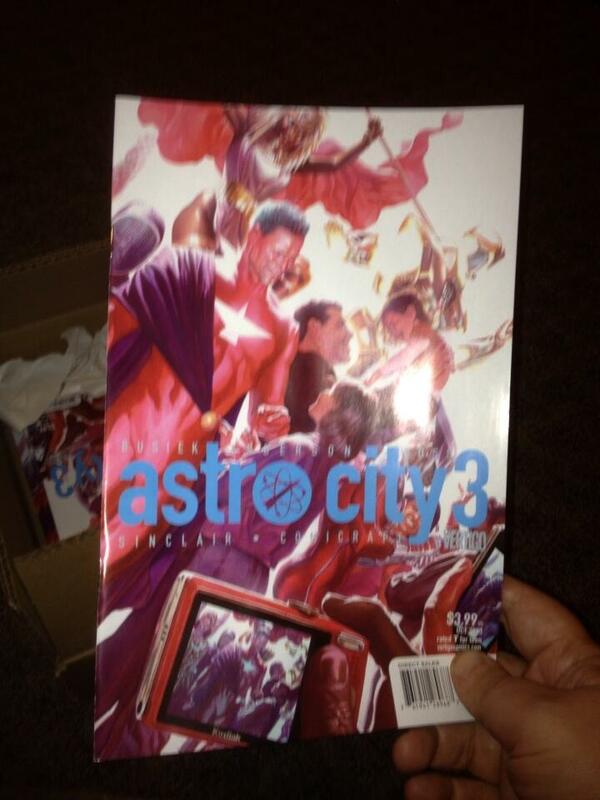 But the stuff I co-own and control, it can live on, as long as readers are interested enough to want to pick it up. Out in stores next Wednesday…! 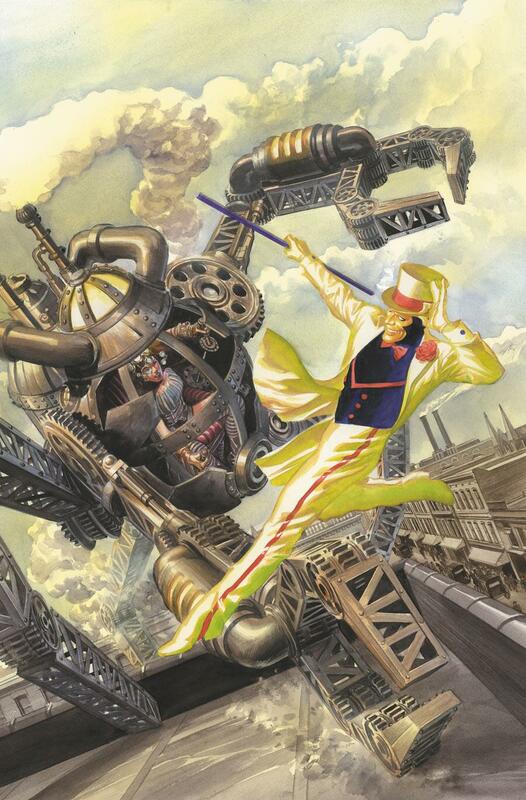 Dame Progress versus Mister Cakewalk! Romeyn Falls, 1903, coming your way in 2013! 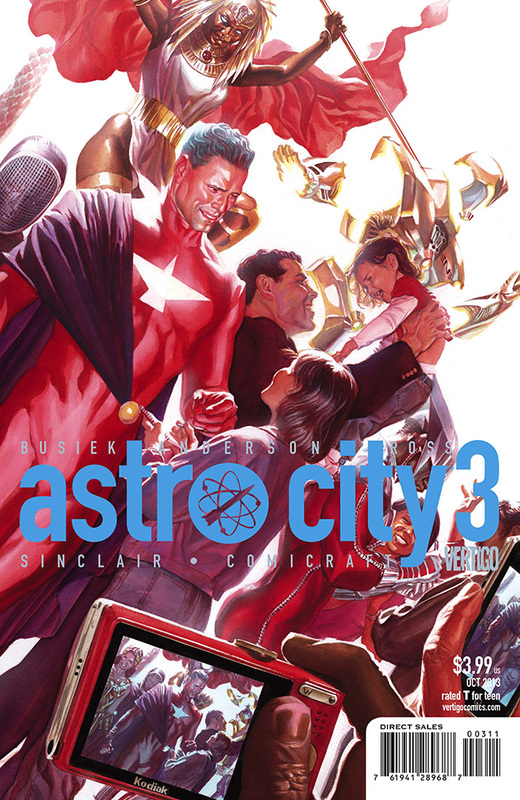 Or to put it another way, here’s the cover to ASTRO CITY 5, by Alex Ross. Ain’t it gorgeous?